The Long Canyon trail is a fast straight downhill if you shuttle it. If you bike the trail as an out and back, the first half is a mean uphill. As a 4x4 route, it's a fun short cut back to Moab from Dead Horse Point or Canyonlands. Long Canyon isn't as technical or challenging as other well known mountain biking trails in Moab, Utah, but it is fun and speedy. The trail itself is a sandy and well packed double-track. 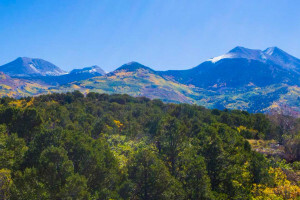 The downhill offers incredible views of the La Sal Mountains. It may be one of the most scenic trails in the area, primarily because the lack of technical spots allows you to appreciate it while riding your bike. Difficulty: Technically easy, physically difficult if you do it as an out and back. As a 4x4 route, this is one of the easier roads to follow with one narrow and steep section. As an out and back trail, drive north on US 191 until Route 279. 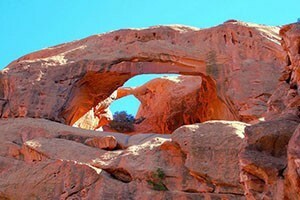 Turn left and drive 13.6 miles to Jughandle Arch and park. As a shuttle, drop one car at Jughandle Arch and drive back out to US 191. Continue north and turn left onto UT 313. 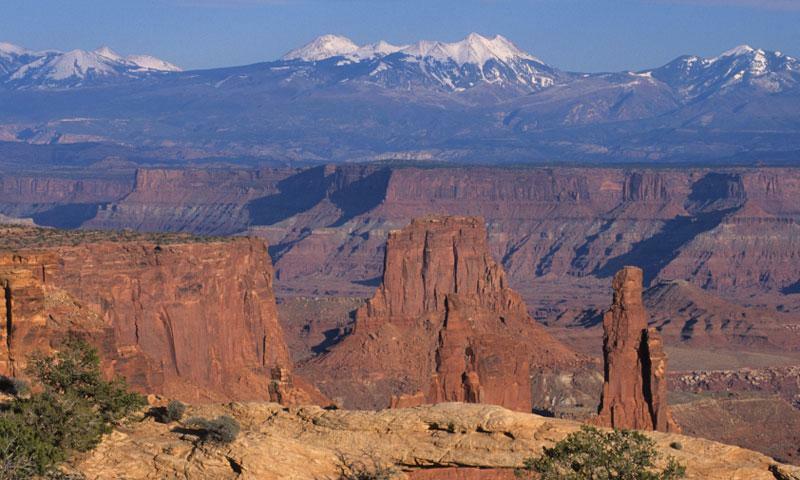 Once you are on top of the mesa, turn left toward Dead Horse Point State Park and park.